The North Shore Striders is an all-inclusive running club founded in 1976 to promote running for both the recreational and the competitive runner. Our current membership includes a wide range of ages and abilities. Some are competitive marathoners, while others compete in shorter races on the road and on the trail, and some simply run for enjoyment. All are welcomed! 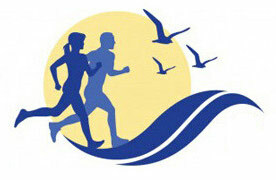 You can join the North Shore Striders online through North Shore Timing. As a member of the North Shore Striders, you’ll find there are plenty of ways to get involved with the club. Whether it is a relay race, a club-sponsored cook out, holiday party, year-end awards banquet, track workout, group training run or volunteering at a club-hosted race, there are plenty of fun and interesting activities going on throughout the year. The North Shore Striders Track Club is a member of USA Track & Field New England, the governing body of track and field events in the United States.